Morino Lodge partners with one of Canada's finest backcountry skiing operators, Whitecap Alpine, offering the best backcountry guiding service in both Hakuba (Nagano) and Myoko (Niigata). With our local knowledge & Whitecap's fully certified & professional guides, we deliver a backcountry experience in Japan that is nothing short of exceptional. This partnership gives you the opportunity to enjoy your own customized experience in the best of Japan's vast backcountry with a top class ACMG Certified Mountain Guide or Ski Guide. 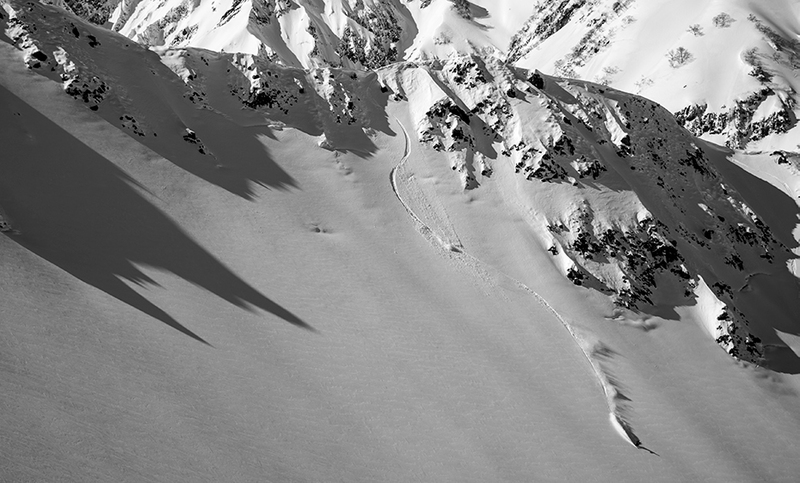 Hakuba and Myoko are known for some of the best backcountry skiing on the planet. With an abundance of terrain ranging from deep snow in mellow trees to steep flutes & open bowls, these areas have got it all! Whether you're new to the backcountry and looking for an intro course, or a seasoned pro with your sights on long days and aggressive skiing, we will strive to create a program that will suit you. Our guides are all ACMG certified, know the terrain and snow conditions inside and out and will custom tailor our plan to get the most out of the skiing and out of you. We want you to enjoy the mountains as much as we do. On all of our backcountry tours safety is our top priority. We will cater to your ability & experience to give you a safe & unforgettable experience. On the morning of the tour our in-house guide will join you at the lodge to discuss the day ahead and deliver an avalanche safety briefing before heading out. We are able to provide you with a pack, shovel, beacon and probe upon request. Gear rentals are not included however we offer a selection of touring skis and split board set ups. Lunches will also be taken care of – we know how important it is to fuel those turns. We recommend that participants have a good overall fitness level and are willing to put in a bit of work to earn your turns! You should be an intermediate skier/rider at least with some experience off-piste skiing, or more rugged ski resort runs. More introductory level options are certainly welcome, however the group’s overall ability will dictate the day. Our group tours can accommodate up to 6 people per group. We will strive to match ability and fitness levels so that you can all make the most of your day in the backcountry. Price: ¥18,500/person. Max 6 per group. Our private tours allow for a unique backcountry experience. You will have the guide to yourselves all day, set your preferred pace and discuss which terrain best suits you. Price: 55,000yen per day for the 1st person then 6,000yen/person after that. Max 6 per group.